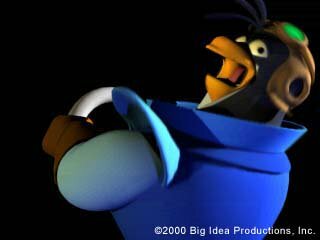 An image of Zidgel from the 3-2-1 Penguins promo. 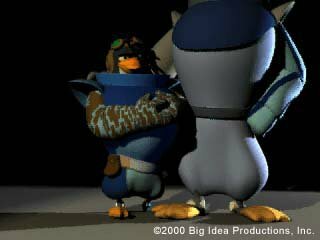 3-2-1 Penguins is a 3D animated Christian children's video series created by Big Idea Productions in 2000. 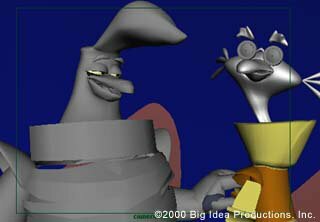 Big Idea is also well known for the hit series, VeggieTales created in 1993. 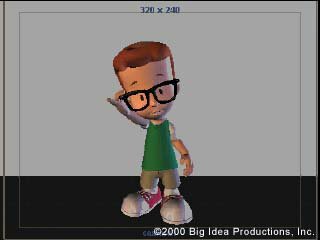 It was originally a direct-to-DVD video series, however in 2006, it was moved over the to kids programming block, Qubo, where it lasted 2 more seasons until ending in 2008. 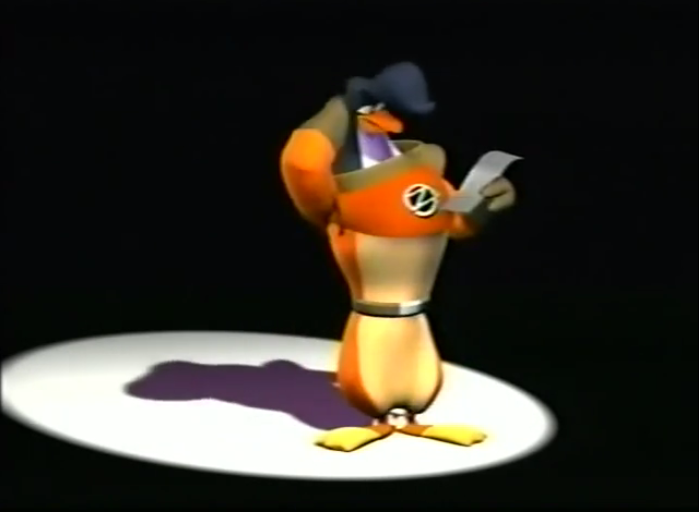 On October 5th, 2018, LMW user Veggiefinder (or WTLN) discovered still images of 3-2-1 Penguins. Soon after, a YouTuber named JK Doodles also uncovered more stills. These images give us reason to believe that there were unreleased test animations. 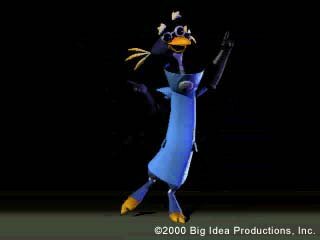 These images show significant differences to the final product, such as a blue outfit instead of orange. 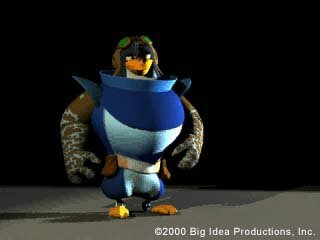 All 4 of the penguins in the final product still exist in this version as well. 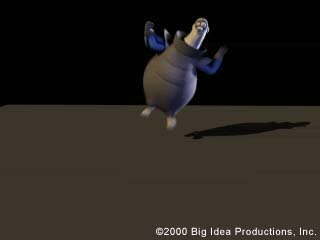 These animation tests are not confirmed to exist, but these stills give reason to believe that they do. They are only accessible through a capture of BigIdea.com found on the Wayback Machine. Currently, No footage or audio of these tests has been found. 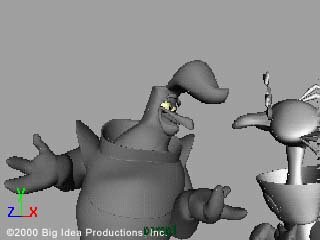 An archive of the BigIdea website that contains the stills from the alleged animation test.